Jungle Safari in Nepal is not only known for trekking in snow-capped Himalayas but also a exquisite Jungle Safari through the pristine National parks. 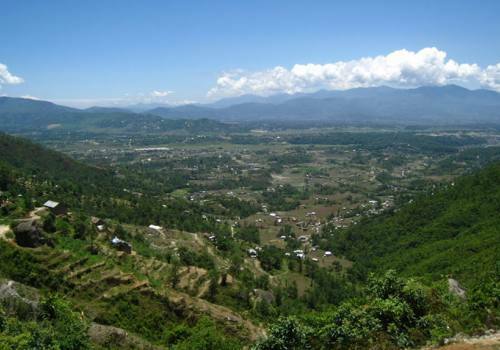 The geography of Nepal is such that the northern side has Himalaya's whereas the southern lowland commonly known as Terai is densely vegetated with tropical forests providing habitat to diverse variety of wildlife, flora and different native as well as migratory birds. Nepal has got some exotic Jungle Safari destination in the world. With 14 national parks and wildlife reserves in Nepal, Chatoan National Park, Bardiya National Park and Koshi Tappu Wildlife reserve Rara national Park ,lamgtang national Park are best known for the activity of Jungle Safari. These national parks provide habitat to different rare and endangered wild species which includes Royal Bengal Tiger, One horned Rhino, crocodile, four horned antelope, striped hyena, Red Panda and many others different species of animals ,reptiles and 575 different species of birds. 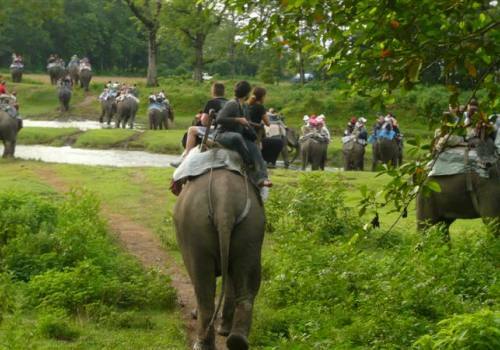 The activities of included in Jungle Safari are going deep into the jungle riding on elephant back viewing wildlife, Jeep riding to go inside the park, canoeing on the rivers embedded in the park to see crocodile and water birds in their natural habitat, nature walk, bird watching, village tour and cultural show. Sagarmatha Adventure arrange wild life safari trip will be an extraordinary experience which you will remember your lifetime.